The purpose of the Highland Academy Gymnix team is to develop the physical talents and skills of our students and use them as a way to promote Christ and a Christian lifestyle. Our team goal each year is to produce outstanding and entertaining shows that spread a message to our surrounding communities emphasizing healthy living and avoidance of harmful drugs. Click the plus sign by each date for more information about that performance. This gymnastics clinic is open to students from 5th-12th grades. For more information, contact Ryan Irwin. Each year, Gymnix is privileged to be able to perform in the Nashville area and throughout the Southern Union. These past performances have included yearly halftime shows at David Lipscomb University and Belmont University, as well as multiple performances for the surrounding middle schools and high schools. In order to keep spreading these important messages, we are soliciting your help. We need financial assistance to help defray some of the necessary expenses associated with our team and producing our shows. Equipment, uniforms, and travel are just a few of those costs. We are looking for people or businesses that would be willing to support by sponsoring our team. For a donation of $100.00 or more, your name or the name of your company would be listed on the back of the team t-shirts as an official sponsor. For $350.00 or more, a professional-looking 3’x5’ banner would be hung in the Raphan Ley Auditorium recognizing you or your company, as well as appearing on the back of the team t-shirts as an official sponsor. Your sponsorship would last until the end of the following year’s fundraising drive. Low cost, great exposure!!! If you can help, please fill out the form below and the information on back and return it to Highland Academy. All checks can be made out to the Highland Academy Gymnix. All donations are TAX DEDUCTIBLE and receipts will be mailed upon payment. If you have any questions, you may contact me directly on my cell at (423) 240-5450 or by email at rirwin@highland-academy.com. Thank you for your support. “It is my privilege to be the Coach of Gymnix, with the rich history and long time accomplish-ments of this program, it is a true honor. Gymnastics is a part of me and I have enjoyed it for many years. I have coached gymnastics at many different levels. I have been asst. coach at Spalding Ele-mentary School (AWS) in Collegedale, TN. I have been asst. 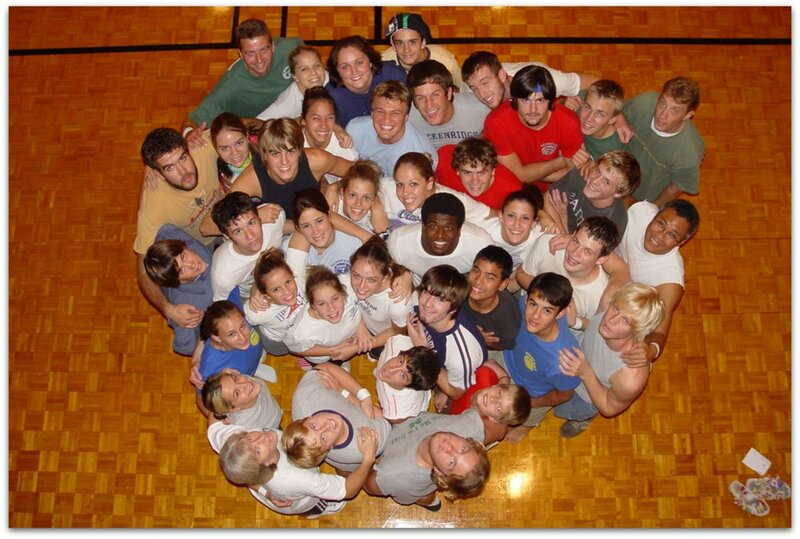 coach at Southern Adventist Uni-versity (SAU) and Southwestern Adventist University (SWAU). I have coached High School gymnastics at Jefferson Christian Academy (JCA) in Texas, and Mount Vernon Academy (MVA) in Ohio. 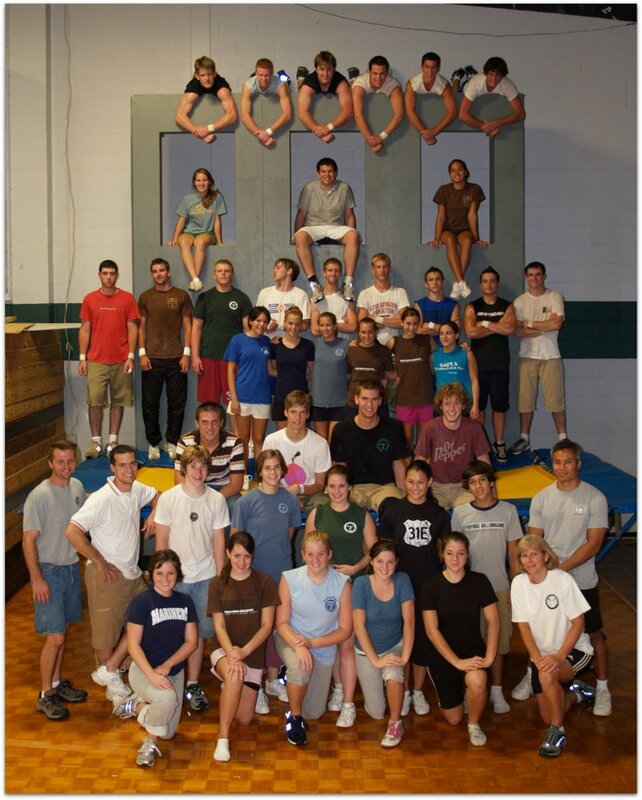 I was on my High School gymnastics team at Collegedale Academy (AcroEssences now AcroForce) for three years (1996-1999), I was a member of the Gym-Masters at SAU for 7 years (1999-2005, 2006-2007), and a member of the SouthWester Acrobatic Team (SWAT at SWAU for one year (2005-2006). As a Gym-Master and assistant coach I learned some valuable lessons, which I have applied to my coaching. One of these is making the gymnastics team a family and developing young men and women for more than “just” gymnastics. Coach Schwarz instilled in me and all his teams a desire to work hard, support each other, and become closer to God. These principles will be taught and emphasized here at Highland Academy. Meeting the team for the first time! Are you a former Gymnix member? Click the button to head over to https://www.facebook.com/HighlandAcademyGymnix for past team pictures and more! The page will also be updated with updates and the latest performance pictures of this year’s touring season.